Been there, seen that. It’s unusual enough that I was contacted by a meteorological researcher from the U.S. when she read about it, but I grew up in Colorado and know snow when I see it. It definitely Graupeled on us at the top of Chirripó on New Years eve. Our water bottles froze too, but that’s pretty common. We’ve also seen an inch or more of hailstones on the ground at elevations as low as San José although it’s more common higher up. 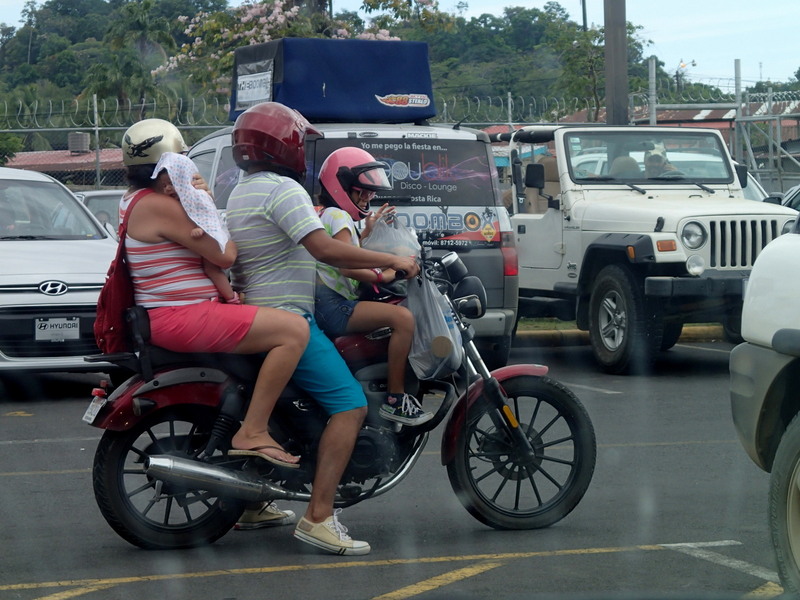 Mopeds and scooters are great in the Caribbean or Greek Isles but uncommon in Costa Rica. There are several reasons including hills so steep a scooter just cannot climb them (especially the unpaved slopes) and the dangers of narrow roads with no shoulder and high speed traffic. Two wheeled transportation is a reality in Costa Rica but somewhat less romantic than the vision of windblown hair, sunglasses and cute little brightly colored scooters zipping along the seashore. Costa Rica mostly has excellent water. One of the driving forces behind the creation of the national parks, wildlife refuges and forest reserves system was protecting the watersheds. Note: overbuilding, lack of planning and drought conditions have lowered many aquifers (especially in Guanacaste and the Nicoya peninsula) to the point that water quality is suffering. Arsenic and other natural contaminants are being concentrated, and tap water is no longer drinkable in some lowland and coastal areas. In 2016 the drought on the Pacific side was intensified by El Niño causing a nationally recognized crisis. 2019 is another mild El Niño year and Arsenic levels will probably climb to unsafe levels again as aquifers dry up and toxins are concentrated. Um, nope again. 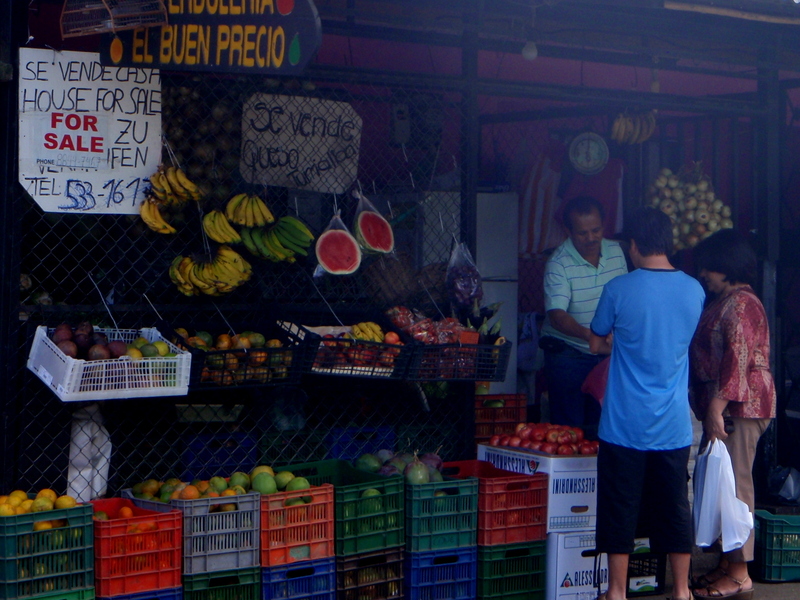 The cost of living in Costa Rica is close to the cost in the U.S., Canada or Europe. For some significant things it’s actually more expensive. This is one of the most pervasive and widespread bits of misinformation about Costa Rica. The rains usually dissipate over most of the Pacific beaches and the cities of the central valley by the end of December. Occasionally in the driest reaches of Guanacaste and the Nicoya peninsula the statement that “December is the Dry Season” is true for the whole month but for most of Costa Rica the rains continue into mid-December and sometimes even through New Years. 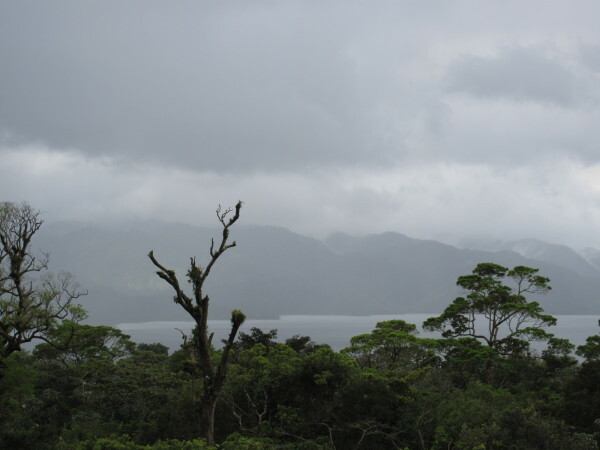 In contrast to the Pacific’s dramatic swings between desert like conditions and daily tropical showers the Caribbean side experiences more consistent rainfall year round. In fact if there were a “dry season” for the east coast it would be when the rains diminish in September and October which are the wettest months on the west side. The dry season myth arose because well over 80% of the population and all of the international destination resort investment is on the Pacific side of the Continental divide. However some very popular tourist destinations like Arenal volcano are on the Caribbean slope. 2694 – 0400 is a real phone number in Costa Rica. All the phone numbers are eight digits. They all used to be seven digits but when cell phones were introduced they started running out of numbers because there are no area codes. So they decided to add one digit up front and cell phone numbers typically start with 8 while landlines start with 2 (a while back they ran out of 2’s and 8’s and started adding leading 6’s etc. but the 2/8 rule is still generally true). While it’s true that a 10% “service tax” is added to restaurant bills (and usually bar tabs) it’s sort of like minimum wage for the servers and nothing is added for tour guides, drivers, bus boys, maids etc. All of these people work very hard for minimal base salaries and many have families to support so we recommend these tipping guidelines. Hopefully there’s a common misconception as part of the name “suicide shower” and it isn’t really suicidal to use one. These are a contraption about the size of a coffee can, usually made of white plastic and mounted in place of a shower head. They are on demand electric water heaters and while it’s a bit disconcerting to see live electrical wires leading into a water pipe we’ve used hundreds over the years and only had one shocking encounter. Okay so that’s not entirely a misconception. Costa Rica’s roads are pretty abominable but compared to what they were twenty years ago they’re marvels of modern pavement engineering. There are a few dozen km of fairly modern limited access “freeways” if I use the term loosely and another couple hundred km of pretty good roads that actually have passing lanes now and then. For the most part though the roads are still narrow, two lane, winding and might have chickens in the middle. Guard rails and reflectors are popping up occasionally but are still pretty rare overall. What has improved immensely (believe me or not because they’re still be bad) are the potholes. You used to actually be able to literally lose a car in some of the potholes. While Costa Rican food is not as spicy, varied or exotic as many tropical cuisines like Thai, Mexican, or Ethiopian it does have a unique character and interesting varied ingredients if you know where to look. U.S. dollars are accepted nearly everywhere and preferred many places. You’ll usually get your change in colones but in more than 20 years we’ve never had anyone refuse dollars – a few occasional grumbles but never a refusal. Once at a toll booth they insisted we dig through the seat cushions to find ¢100, but that was because they didn’t have change for a $5. If you are from Canada or Europe you’ll need either U.S. dollars or local colones. Never had a problem. If it’s at a restaurant it’s been washed in that high quality water that you can drink as we mentioned above. If it’s from a fruit stand or fresh off the tree wash it. If it’s from a modern supermarket wash it to get the pesticides off just like you would at home. If it’s a cashew read this first! For those of you who have never been to Costa Rica the poopy paper basket is a waste basket next to the toilet for the purpose of depositing used paper. The majority of restrooms you use will have one along with a sign explaining its use and pleading that you do so for the sake of their septic system. Most systems in Costa Rica are way under capacity and poorly built so it is very difficult or impossible to pump them which is a required maintenance procedure every few years if you flush paper products and the system can’t keep up digesting them. However if there is no sign you may be safe to flush away. Ticos grew up with the basket and can be baffled when there isn’t one. Our neighbors in Colorado hosted a Tica exchange student who took hers to the kitchen wastebasket at first. 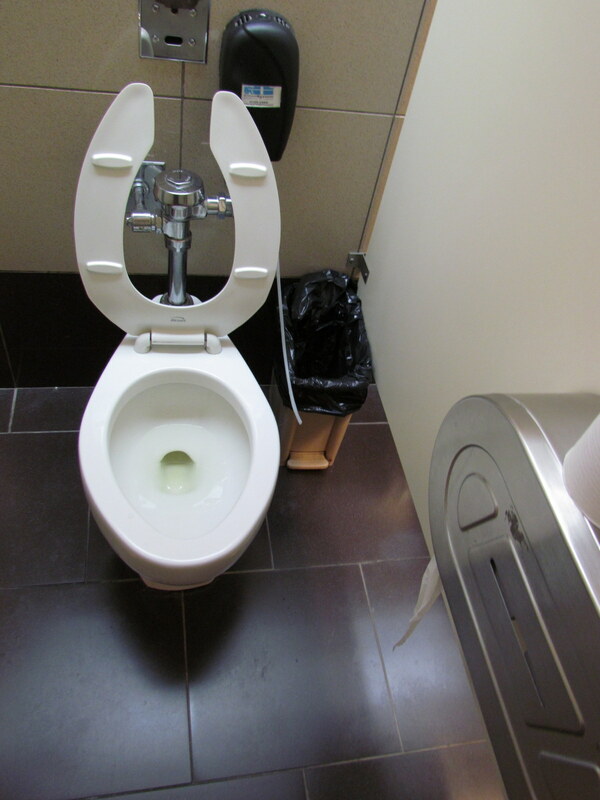 Even new buildings with modern systems where it’s fine to flush usually provide a basket because they don’t want to pick up a pile off the floor. One surprising place you won’t find a basket is the open air camp toilet at EdEase in the Osa wilderness. This misconception is fading because it’s been years since it was true but we still hear it every now and again. For decades you could actually enter Costa Rica with nothing more than a valid U.S. driver’s license. I have no idea where they stamped the visa since we never tried it. Post 9/11 even if you could get into Costa Rica without a passport they wouldn’t let you back in your home country anyway so renew your passport. Um, nope. 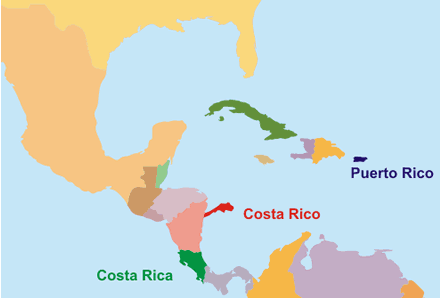 And it’s not the same place as Puerto Rico they are distinct geographically and politically although there is an imaginary amalgam of the two … see Costa Rico map.